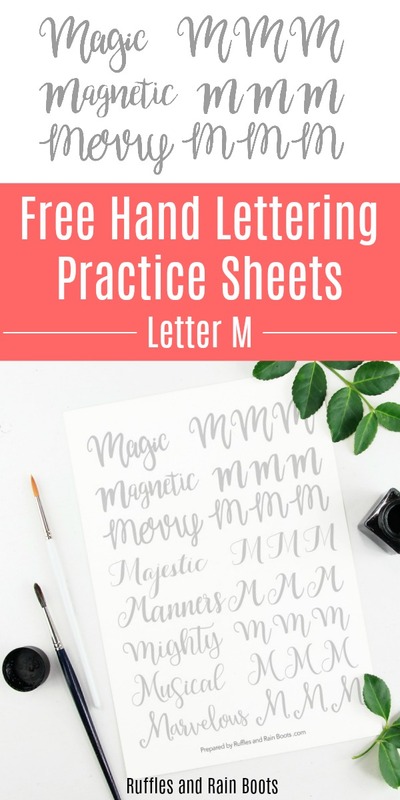 This set of free uppercase letter M hand lettering practice sheets will help you develop bounce, brush, and modern calligraphy styles. 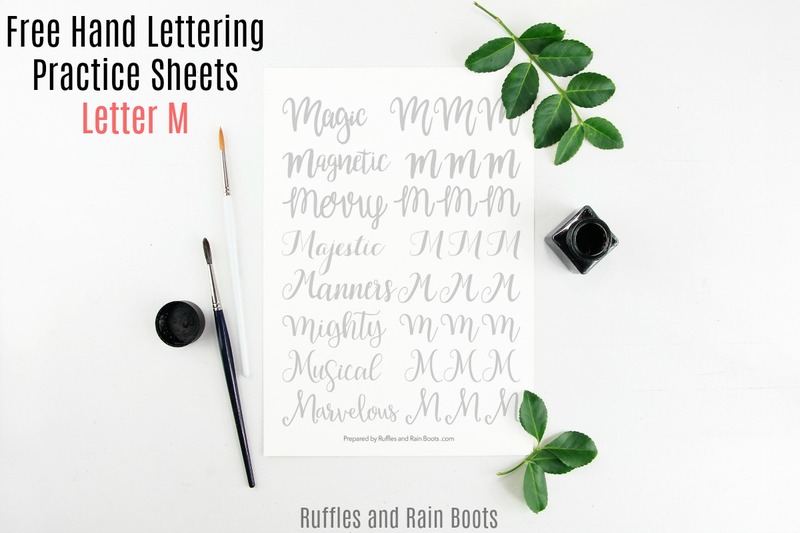 Here at Ruffles and Rain Boots, I’m sharing the next free calligraphy practice in our uppercase, large-pen series: the letter M. It’s a super-fun letter to work on, especially in large pens. 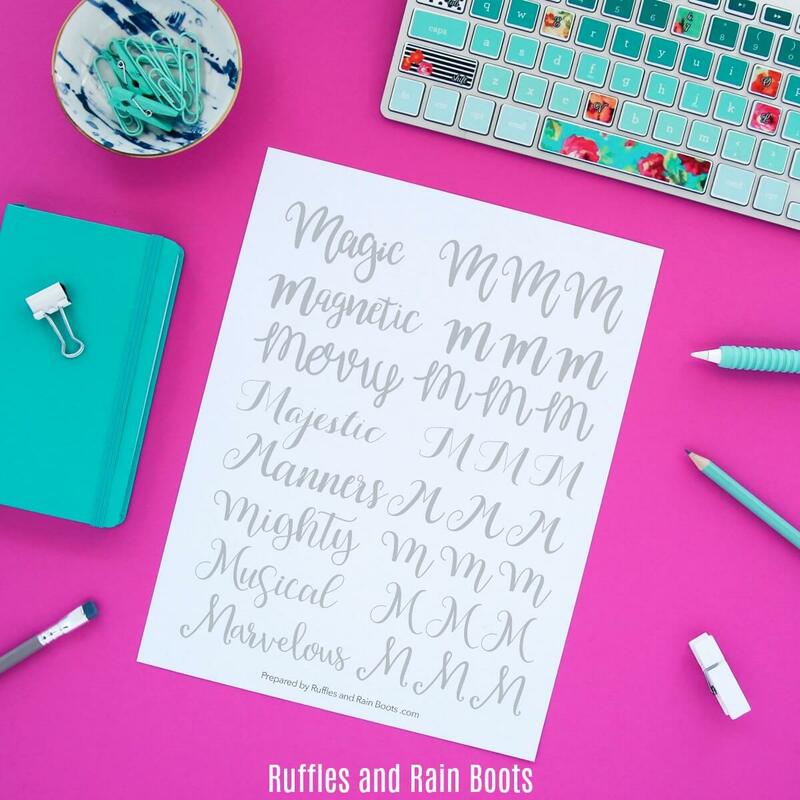 This week, I had to really, really focus on my practice because I kept getting interrupted by the cutest little 7-year-old. She sat alongside me for some of my daily practice (she was off school last week) and it was fun working on them together. If you are subscribed to our newsletter, you already have the password (it’s at the bottom of every email I send). 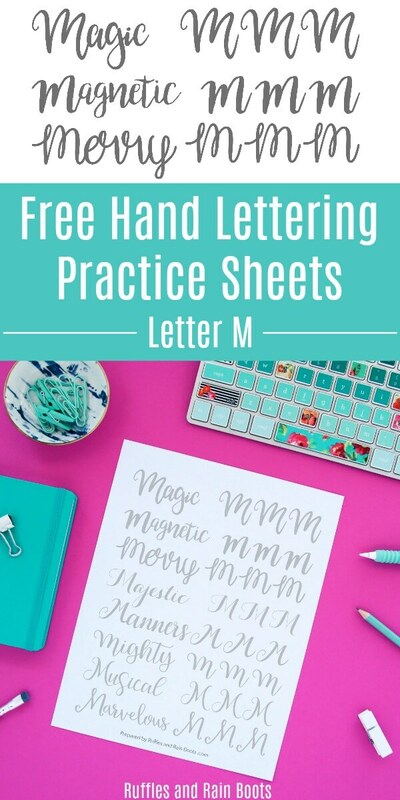 Grab that password and get the Letter M Workbook here.